206 pages | 11 B/W Illus. 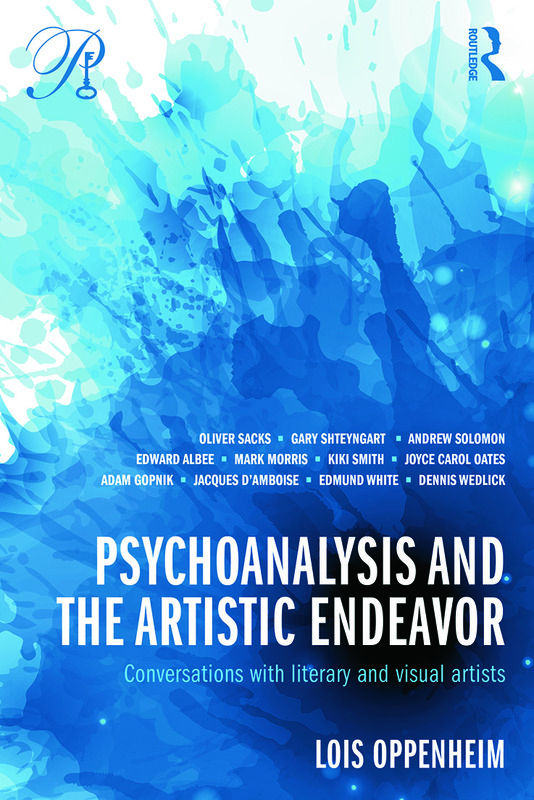 Psychoanalysis and the Artistic Endeavor offers an intriguing window onto the creative thinking of several well-known and highly creative individuals. Internationally renowned writers, painters, choreographers, and others converse with the author about their work and how it has been informed by their life experience. Creative process frames the discussions, but the topics explored are wide-ranging and the interrelation of the personal and professional development of these artists is what comes to the fore. The conversations are unique in providing insight not only into the art at hand and into the perspective of each artist on his or her own work, but into the mind from which the work springs. The interviews are lively in a way critical writing by its very nature is not, rendering the ideas all that much more accessible. The transcription of the live interview reveals the kind of reflection censored elsewhere, the interplay of personal experience and creative process that are far more self-consciously shaped in a text written for print. Neither private conversation nor public lecture, neither crafted response (as to the media) nor freely associative discourse (as in the analytic consulting room), these interviews have elements of all. The volume guides the reader toward a deeper psychologically oriented understanding of literary and visual art, and it engages the reader in the honest and often-provocative revelations of a number of fascinating artists who pay testimony to their work in a way no one else can. This is a unique collection of particular interest for psychoanalysts, scholars, and anyone looking for a deeper understanding of the creative process. Psychoanalysis and the Artistic Endeavor. The creative experience is a bit like driving from point A to point B without conscious awareness, suddenly arriving safely, but then transformed by the experience. Lois Oppenheim, a scholar of psychoanalysis, converses with eleven well known artists (literature, architecture, dance, and neuroscience) about their craft and takes us on eleven profound and creative journeys. Not only are we allowed access to their public and private creative processes and work, but also to our own unthought experience. We are indebted to Dr. Oppenheim for these "conversations," and their transforming impact. - Mark D. Smaller, Ph.D., President, American Psychoanalytic Assocaiton. Introduction, Interview with…Edward Albee. Mark Morris. Kiki Smith. Joyce Carol Oates. Adam Gopnik. Jacques d’Amboise. Edmund White. Denis Wedlick. Gary Shteyngart. Oliver Sacks. Andrew Solomon. Lois Oppenheim is University Distinguished Scholar, Professor of French, and Chair of the Department of Modern Languages and Literatures at Montclair State University where she teaches courses in both literature and applied psychoanalysis. She is Scholar Associate Member of the New York Psychoanalytic Society and Institute and Honorary Member of the William Alanson White Society. She is the author of many books, including Imagination from Fantasy to Delusion (Routledge, 2012)—awarded the 2013 Courage to Dream Prize from the American Psychoanalytic Association—and A Curious Intimacy: Art and Neuro-Psychoanalysis (Routledge, 2005).